Most private health insurers provide rebates for osteopathy, although some provide better rebates than others. You should check that your hospital and extras cover meets your needs. Osteopathy rebates are available under extras cover. There are different levels of cover depending on how much premium you want to pay and what services you might want. Some products give you flexibility about what extras services you want under an annual cap. Others categorise services at different levels depending on the type of cover you purchased. Who needs cover - yourself, you and your partner, your family? What cover do you want (e.g. hospital, dental, allied health services)? You could choose hospital only, extras only (including osteopathy) or a combination of both. What is covered? You may need to look carefully at what is included and excluded at each level of cover. What are your specific needs? You may have an existing condition, or you might be planning a family, and you will need to consider these when choosing a policy. Your age may also be a factor. Please note that your osteopath may charge a gap fee (i.e. the difference between the rebate the health insurer offers you and the total amount of the service). 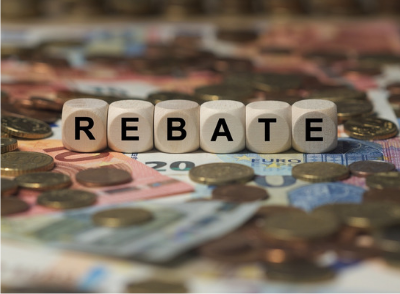 If you are not happy with the level of the rebate, then speak to your health insurer, as the osteopath has no control over the rebate the insurer gives you. CHOICE provides information about health insurance from a consumer perspective. The Australian Government Private Health Insurance Ombudsman provides general information and a listing of health funds. It also has a health insurance policy comparison tool. Private Healthcare Australia, the peak body for health insurers, also provides information for consumers about health insurance.